Where I can add new keyword for longcode? What is it's maximum limit? 1. 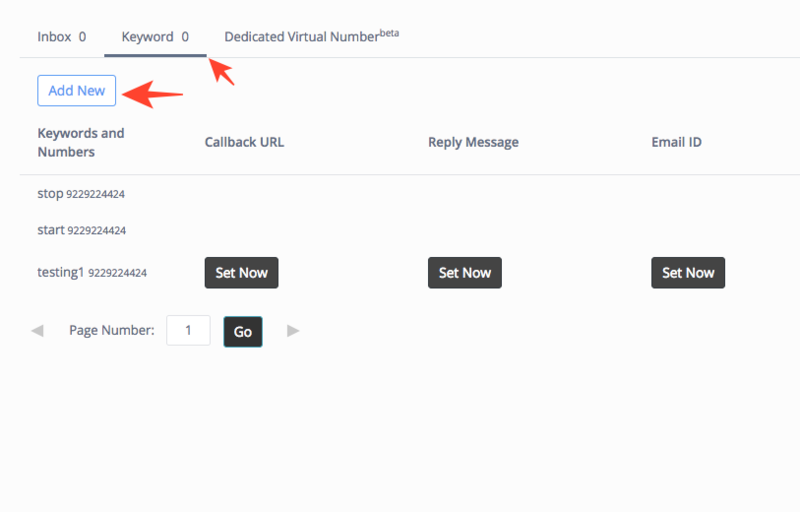 Go to Virtual Number option. 2. Select the option of Keyword. 3. Click on the ADD button and enter the keyword of your choice. 4. Send it for approval and we'll let you know if this keyword is available. NOTE: The maximum character limit for a keyword is 20.